The op-ed by an anonymous Trump Administration official denouncing the president as immoral, undemocratic, and too erratic to lead the country, has an entire nation trying to guess the source. Omarosa Manigault Newman, who just published a book about her own time in the Trump White House, says she believes the piece came from the office of Vice President Mike Pence. On Thursday, Mike Pence was among many Trump Administration members to issue stark denials that they were the source of the scathing op-ed, which describes many senior officials in the White House and across branches of government working to keep Donald Trump under control. Pence’s Director of Communications issued one denial in the morning via Twitter, calling the writer gutless and asserting that Pence’s entire office is above releasing such a statement. However, he stopped short of denying the content of the piece, which has been backed up by other GOP officials and senators, and didn’t suggest resignation for those who work to thwart Trump’s impulses — only for those who reveal this to the public. Omarosa, who recorded conversations in the White House and whose stories about the Trump administration led the president to call her “wacky and deranged,” and attack her credibility, didn’t agree. She tweeted, citing the statement from Pence’s office, mocking the notion that his assertion could stand as proof. Welp, glad we solved that mystery. VP45 says he is not the anonymous ⁦@nytimes⁩ author. According to The Hill, Omarosa speculated further in a radio interview Thursday morning, saying that she believes the piece did come from Pence’s office. Having served as an assistant to the president as well, I believe it’s a staffer. I don’t believe it is someone who is at the president or vice president’s level. But because of the choice of words, it is very similar to the speaking style and patterns of someone who would work around the vice president. That’s my opinion. 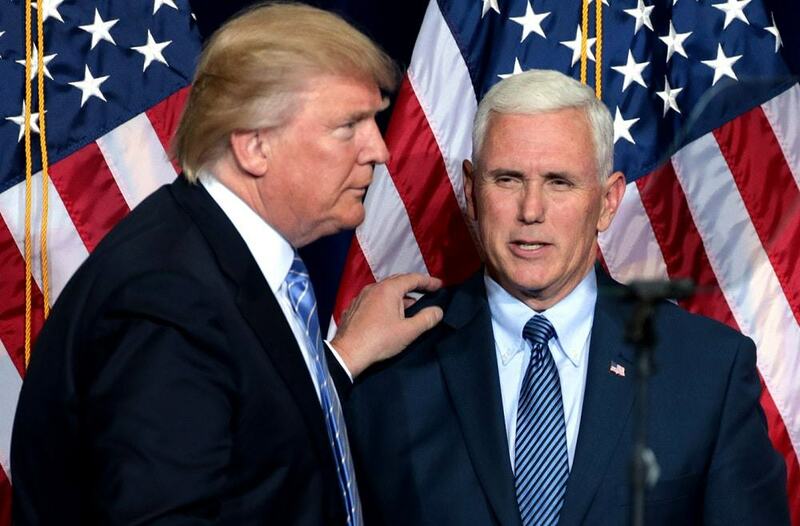 According to the BBC, the uncommon word “lodestar” has been considered a clue by many readers, including journalist Dan Bloom, who hunted for the word in speeches by many senior officials — and found it in use only by Pence, who had uttered it in numerous contexts. However, language can be picked up in proximity, and Omarosa would likely be aware if Pence’s staff has emulated his use of the word. Whoever may have been behind the initial op-ed warning the world that Donald Trump’s staff is working overtime to rein him in, additional staffers coming forward have said that dozens of individuals in the U.S. government are working together to achieve the same end — so uncovering the single individual who told the public would be the tip of the iceberg.